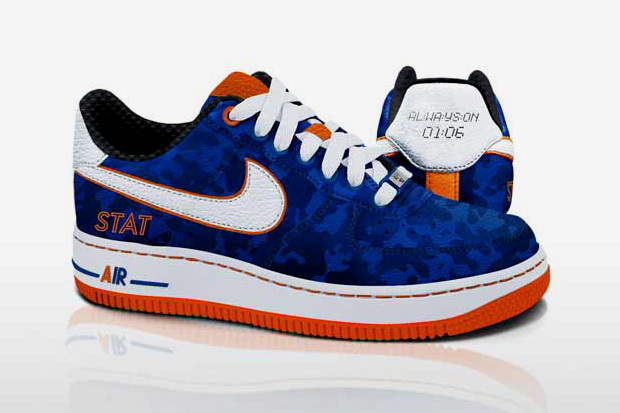 NSW debuts STAT's new "Always On" video, and four lucky viewers will win a pair of Bespoke "Always On" AF1's. On Monday, December 19, Nike Sportswear will debut a new "Always On" video with Amar'e Stoudemire, presented as an event on Livestream. The "Always On Live" event features performances by Stalley, Vado, French Montana and Jesse Boykins III. During the broadcast, four lucky viewers will win a pair of exclusive Bespoke "Always On" Air Force 1's (pictured below). To enter yourself in the raffle, all you have to do is log on and submit a question through Livestream. For more information, visit the official Nike Sportswear page.